Winfrey is in St. Louis for the live taping of “Oprah’s Lifeclass: The Tour,” being held at the Peabody Opera House on Monday, March 26 (8-10 p.m ET/PT). 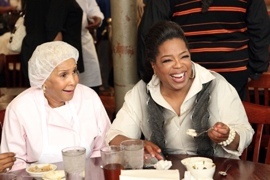 Winfrey, accompanied by Gayle King, surprised the “Welcome to Sweetie Pie;s” cast including Sweetie Pie’s owner Miss Robbie Montgomery, her son Tim Norman, his fiance Jenae Wallick and nephew Charles Crenchaw, in addition to hundreds of unsuspecting restaurant patrons dining at the restaurant. 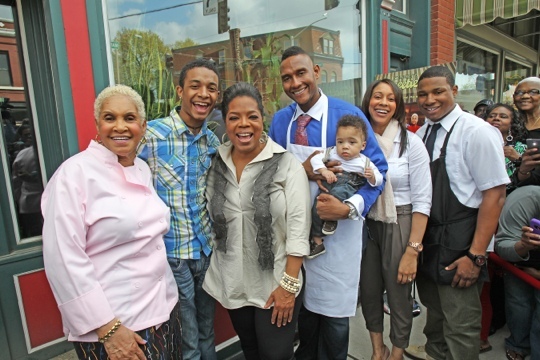 The popular family docu-series “Welcome to Sweetie Pie’s” will return with all-new episodes Saturday, March 31 at 9 p.m ET/PT on OWN. 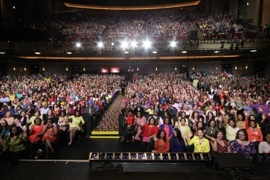 The cast will also be featured during Monday’s live “Oprah’s Lifeclass: The Tour” episode. Additionally, Charter Communications will launch OWN HD to subscribers in the St. Louis area beginning April 2012. 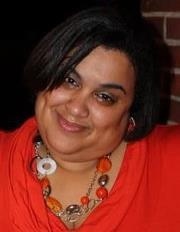 Adrian Bowmen was selected to attend Oprah’s Lifeclass:The Tour and tweeted live from the show!